No. 23 on our list is shared between the boys and girls golf teams at Lone Peak. Both teams won state championships, one expected and the other a little less so. When you are an elite scoring team and also at the top of the game defensively, winning soccer games becomes a whole lot easier. 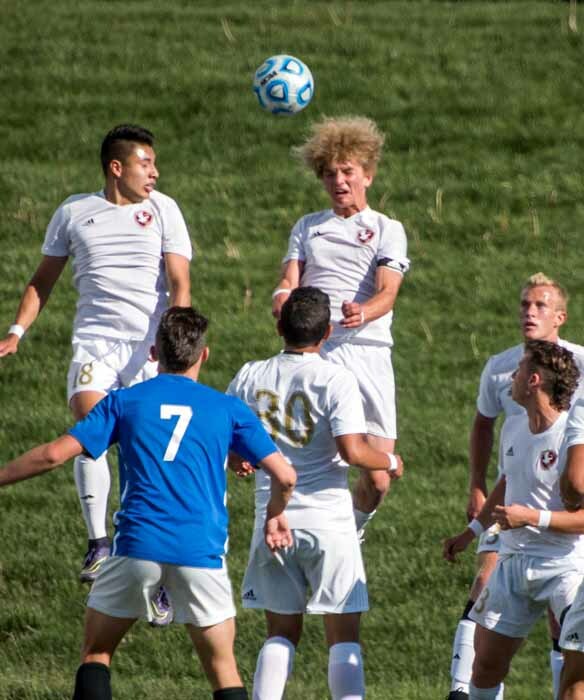 Such was the case for the Maple Mountain High boys squad during the 2016 season. The Golden Eagles dropped a non-region 1-0 decision in mid-March to Orem but didn’t lose again this season. As the perfect capper to the team’s first-ever state championship campaign, Maple Mountain closed out the state tournament by avenging that loss to the Tigers with a 1-0 victory. That came at the end of one of the most impressive state tournament runs ever. The Golden Eagles ran the table with four shutouts, a 3-0 win over Skyline followed by a 1-0 victory over Alta and then 3-0 over Mountain View before the state championship clean sheet against Orem. Those results are not as surprising when you consider that during its 12-0 run through Region 8 play, Maple Mountain scored 78 goals and allowed just six. Overall, the Golden Eagles outscored opponents 95-9 during their 19-1 campaign. The team was highly decorated when it came to individual honors, and deservedly so. The Deseret News named junior midfielder Aidan Dayton its Mr. Soccer. Dayton played his sophomore season with the RSL Academy team in Arizona and may miss his senior year if he goes ahead with plans to graduate early, and if that happens, he made the most of his one year with the Golden Eagles. Forward Dawson Beutler, who scored 21 goals, and goalkeeper Spencer Young, who recorded 14 shutouts, were first-team all-Salt Lake Tribune and Deseret News first-team all-state. Senior defender Sam Krommenhoek earned 4A MVP honors from the Deseret News, while senior defender Tyler Lloyd was also recognized as a first-team all-state performer. Another junior, forward Ian Stonehocker, set a state record with 22 assists and scored 17 goals to earn all-state honors. 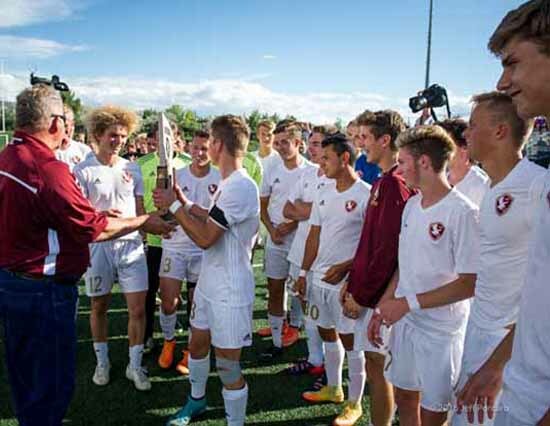 All-in-all, it was a special season in Spanish Fork, where Maple Mountain earned its first soccer state championship.